While enjoying lunch and the reflections of Koi swimming in the reflecting pool outside the Blue Oak café at the Oakland Museum of California, I was pleasantly surprised by a winged visitor. 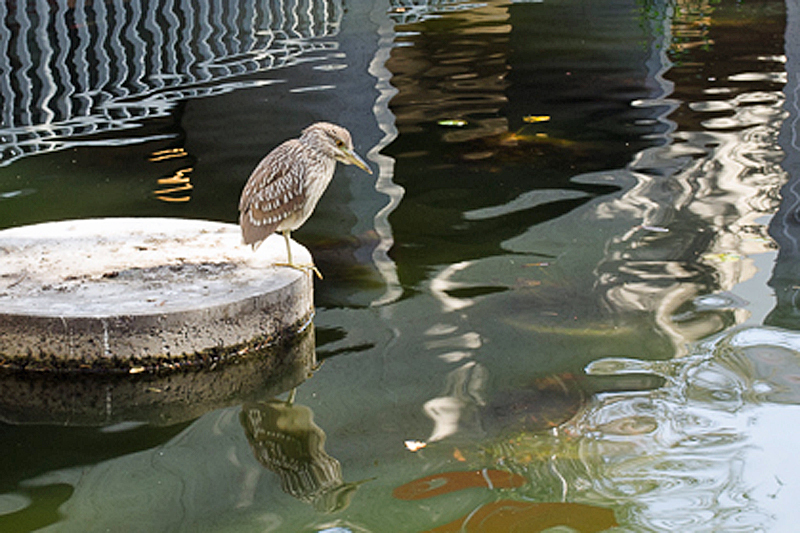 A Black-crowned Night Heron flew into the garden and landed on a small island in the pond. The immature bird was apparently intent on fish for lunch, but the youngster thought better of the idea and flew off. The Natural World is where you find it. I’m glad that I had my camera with me. 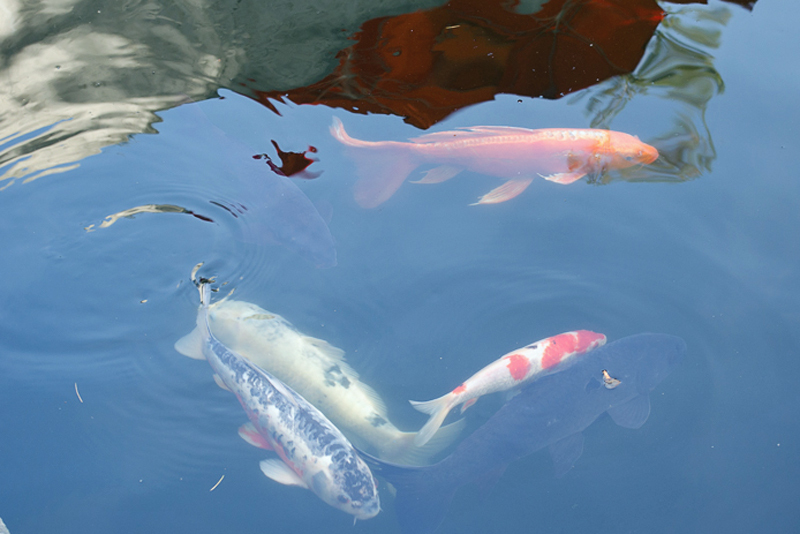 This entry was posted in Oakland, Travel Blog, Wordpress and tagged Birding, blogging101, Koi Carp, Museum, OMCA, photo101, Photography by carto. Bookmark the permalink.